With a stay at Hôtel Tourisme Avenue, you'll be centrally located in Paris, steps from Rue du Commerce and 12 minutes by foot from Rue Cler. 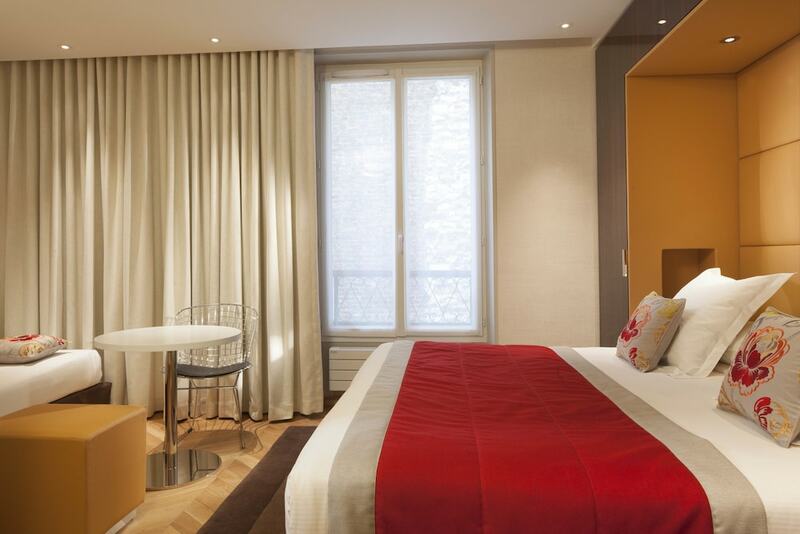 This hotel is 0.7 mi (1.1 km) from Champ de Mars and 0.7 mi (1.2 km) from Eiffel Tower. Make yourself at home in one of the 55 individually decorated guestrooms, featuring minibars and flat-screen televisions. Complimentary wireless Internet access keeps you connected, and satellite programming is available for your entertainment. Private bathrooms with bathtubs or showers feature complimentary toiletries and hair dryers. Conveniences include phones, as well as safes and desks. Take in the views from a terrace and make use of amenities such as complimentary wireless Internet access and concierge services. Getting to nearby attractions is a breeze with the area shuttle (surcharge) that operates within 150.00 km. In accordance with national/local laws, air conditioning may be restricted to certain hours from 1 May to 31 August.